A year on from winning the C21 Drama Series Script Competition at Content London, Michele Giannusa is on the write track. She tells DQ about the origins of her winning project and offers her advice to this year’s finalists. 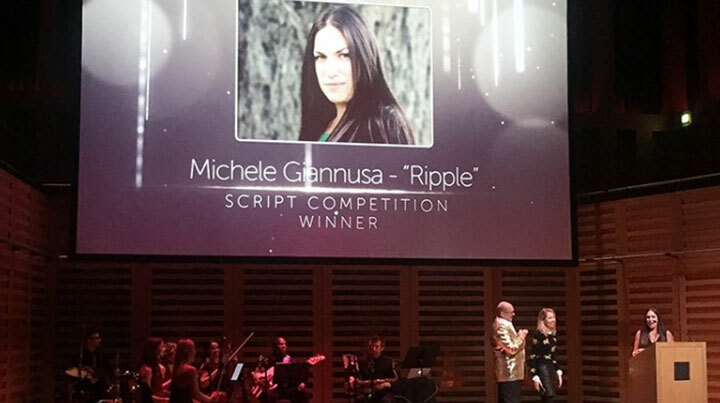 It is one year on from the moment Michele Giannusa’s name was called out as the winner of C21’s Drama Series Script Competition 2017. In the intervening 12 months, she has worked with global producer and distributor Entertainment One (eOne) to develop her script and has pitched her series to broadcasters and SVoD platforms including Fox and Netflix. Giannusa (pictured above left alongside eOne’s Polly Williams) says she was amazed at how people responded to her script, with a constant stream of Content London delegates approaching her to talk about it. “This was a five-minute pitch and I felt like there was this personal touch for people. There’s nothing I want more than to be able to make this show, and it feels like we’re getting closer to that possibly happening. Her winning script, Ripple, follows four different people going through different stages of grief – one character loses his wife suddenly, another is going through a divorce, one suffers a miscarriage and the fourth has lost their job. It was an emotional state shared by Giannusa when she first conceived the idea, having come out of a “brutal” divorce shortly before she moved to LA. Her prize for winning the competition was a deal with eOne. She worked with Jeff Boone, eOne’s global scripted development manager (now head of development for Jane Tranter and Julie Gardner’s transatlantic production company Bad Wolf), who Giannusa says became her “partner” on the project. Originally from New York, Giannusa has lived in LA for the past four years. She has an agent, recently signed a manager and has been busy with meetings about potential writers room opportunities that crop up with the avalanche of new series debuting in the US every autumn. 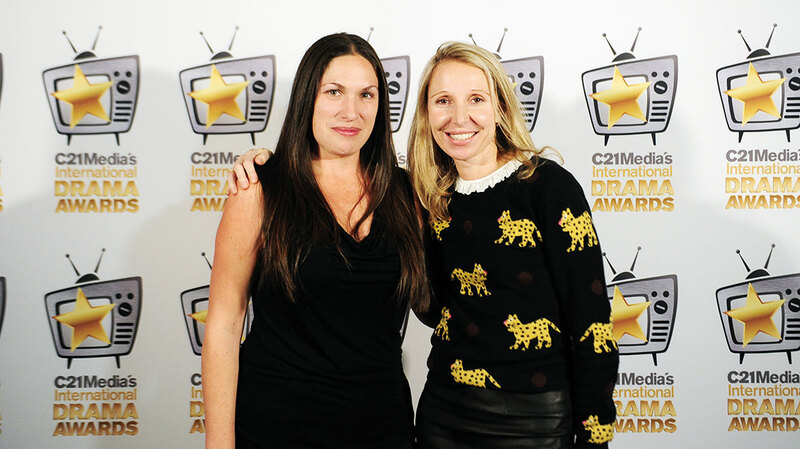 Prior to the C21 Drama Script Series Competition, Giannusa had also won a place on an NBCUniversal’s Writers on the Verge scheme, as well as becoming a finalist in similar competitions organised by HBO, Disney/ABC and Fox. She has several other scripts in development, but while Ripple is very much about friendships turning into family, Giannusa’s other properties look at a different aspect of family – siblings. Ladies of Cambridge is about four sisters who, 10 years earlier, suffered the shock of their father killing their mother and then himself. Now these women, aged between 19 and 22, are facing separating from each other for the first time. The second project, Lucid, deals with a father suffering from Alzheimer’s disease and his adult children who are dealing with their past. From more than 200 entries, five new finalists have been chosen for the C21 Drama Series Script Competition 2018, produced in association with Script Angel. They will pitch their scripts during this year’s final today before the result is announced during C21 Media’s International Drama Awards tomorrow. The winner will collect a US$10,000 prize and development option through C21 WritersRoom. Giannusa’s message to this year’s finalists is, simply, open up to the whole experience, rather than focusing on the pitch itself. “I went in, did my best and then let it go. Because once you do the work, once you’ve written the script, once you go up there and do your thing, at that point just let it go and be able to take it in,” she says. “There are so many writers I know who work for decades and just don’t get a break. If you’ve got there and you’ve got to that competition, that’s huge.